Are you looking to earn some extra cash online in the United Arab Emirates by sharing your opinion and doing other online micro jobs? 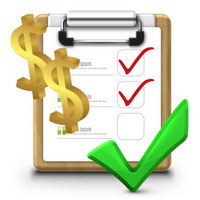 Then paid survey sites and get-paid-to sites (GPT) might be the right solution for you. There are many sites that offer this, BUT there are also many sites that are just a waste of time. In this article, I will, therefore, show you the 10 best paid surveys in UAE that actually pay and are worth your time. If you are not from the UAE, you can instead check out the lists of other countries here. How are the opportunities for online paid surveys in UAE? The opportunities to earn by taking online surveys depends a lot on the country you live in. In the UAE you have decent opportunities to earn some extra cash like this. It is not the country with the most opportunities compared to certain English-speaking countries. But if you join the best sites (see list below), you have pretty good options here. So it is definitely a legit and real way to make some extra cash by sharing your opinion in UAE. You just need to do it with the right expectations. It is not a job that will make you rich or a full-time income. But it can definitely be a way to earn some nice extra cash on the side and have your opinion heard at the same time. Below, I will also show you how you can increase your chances of earning by using the sites on the list below. One thing people often overlook when it comes to paid survey sites is that many of them have extra earning opportunities. The sites that offer more ways to earn than paid surveys are usually called GPT sites (get-paid-to). This means you can still take surveys and get paid for this on these sites. In addition to this, they offer other ways to earn like taking paid offers, doing micro-tasks online, watching videos, clicking ads, participating in contests, and more. By using some of these other options some of the site offer, you can really boost your earnings. Another way to increase your chances of earning is by joining more sites. I would recommend you to join 5-7 sites for a start. This will give you plenty of chances to earn as the sites offer different opportunities. At the same time, it will not be too overwhelming. So this is a good number of sites to start with, and then you can always join more later once you have learned how to use the first sites. The list below will regularly be updated, so make sure to bookmark this page and come back and check for new opportunities once in a while. Below you will find a list of the best paid survey and GPT sites in the United Arab Emirates. This is not a complete list of all the sites that are available, as many sites are just not worth the time. This is instead a list of the best sites focused on only listing legit sites that actually pay and give real opportunities. In the overview, you can see what kind of payout methods and earning opportunities each site offer so you can easily find the right sites for you. ClixSense is a worldwide survey and online reward portal and it also gives good opportunities for the UAE. At first, it might take a little time to learn to navigate on ClixSense, but once you figure it out, it is a really great site with many options. It offers many paid surveys, you can take online micro-tasks through Figure Eight, it has many paid offers, and you can get a daily bonus if you have a certain level of activity. It is a great site to get paid in cash and you can get your earnings out when you have earned $10, which should not take long on ClixSense. You can get paid through Payoneer, Skrill, or Tango Card. Surveytime is probably one of the most simple paid survey sites you can find in UAE. All you have to do is to join, take an initial profile survey in the sign-up process, and then you can start earning. What makes it different is that all surveys give the same rewards and you get $1 for each completed survey. Another thing that makes it different is that you get your reward paid out right after finishing a survey. So you will get your reward instantly. Surveytime gives a good amount of paid surveys in UAE, and you can get your earnings out through PayPal. Mobrog is another survey site that has a specific panel just for UAE which makes it very user-friendly. It offers a good amount of paid surveys, and once you have joined you will receive invitations for surveys via email when new ones are available. Just be aware that there will most likely be several surveys you do not qualify for, so at times it takes a bit of patience to find the surveys you can complete. Mobrog pays out already when you have earned $6.25 and you can get paid in cash through PayPal or Skrill. PrizeRebel is a really great GPT site with many opportunities and you can also find decent ways to earn in the UAE here. You can earn by taking paid surveys, watching videos, taking paid offers, participating in free contests, find promo codes, and the more active you are, the more benefits you get as a member. Definitely also a site worth checking out as it has some really great rewards. You can choose between many gift cards, or you can get paid through PayPal already when you have earned $5. WowApp is a very interesting way to earn online and you can use it both on a computer and through its app. It gives plenty of ways to earn some extra cash in UAE. You can earn by taking surveys, by reading news, by chatting and calling friends, you can play games, take paid offers, and it has cashback options for many UAE online shops. Definitely, an interesting site to check out, and you can get paid when you want to and through PayPal, bank transfer, get mobile credit or donate to charity. FeaturePoints gives you several ways to earn. It is not the site with the most opportunities in UAE but it is extremely easy to use so still worth joining to get some extra earning chances. You can take paid surveys, download apps, and watch videos. Some of the options are only available through the user-friendly FeaturePoints app. A great thing about this site is that you can get paid already when you have earned $1, and you can get paid through PayPal, Bitcoin, or gift cards. Superpay.me gives several ways to earn and you can find some decent opportunities in the UAE here. At first, the site can be a bit confusing to use, but if you take the time to get to know it, it can be a great way to earn by taking surveys, taking offers, clicking ads, it has a $1000 free contest, and more. So with patience, it has good earning potential. A really great thing about Superpay.me is that you can get paid already when you have earned $1 and it processes the payments within hours. You can get your money in cash through PayPal, Skrill, Amazon gift cards, or Bitcoin. Toluna Influencers is a survey site that is very easy to use and it has its own panel just for UAE. It gives a good amount of paid survey opportunities and often you get several daily options. In addition to taking paid surveys, you can earn by creating content for the Toluna community and you can participate in free contests. It has great payout methods as you can get paid in cash or gift cards when you have earned around $10. A site worth considering if you live in UAE. YouGov has its own survey panel for the UAE and it can be quite interesting to participate as a member here. You get a decent amount of paid surveys, and a fun thing about YouGov is that you can see the results of the research they conduct in their website so you can see how your opinion is a part of shaping the future. The worst thing about YouGov in the UAE is the high payout threshold of $50. So even though it is a great survey site, it will take some patience to get to the threshold compared to other sites on this list. Triaba is a legit survey site with a specific panel just for UAE. It is very easy to use but it also has very limited amounts of paid surveys. It is, therefore, a site that can be good to join as an extra site, but you should definitely make sure to also join other sites as Triaba alone will not give you many surveys. You can get paid in cash or gift cards once you have earned around $10. That was a list of the best survey and GPT sites for the United Arab Emirates. Joining these can be a great way to earn some extra cash when and where you want to. Remember to join several sites to increase your chances of earning. Also, make sure to bookmark this page as the list is regularly updated. If you have any comments, questions, or know of any great survey or GPT sites in UAE that are not on the list, then I would love to hear from you in a comment below.